You are what you eat? As popcorn experts, we like to think that we know a thing or two about popcorn personalities. Here’s what your favourite Kernels flavour says about you! Do you consider yourself an at-home popcorn connoisseur? 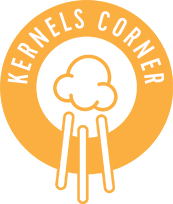 Or is there a flavour that you wish you could get at Kernels? Whether you’ve been mixing up your own concoction or dreaming of a combo we don’t currently have, we’ve got some good news for you. Our Annual Flavour Contest is BACK! So break out your apron and get ready to send some seriously scrumptious suggestions our way. The days are longer, the weather is getting warmer, and as the temperatures outside start to rise, we’re heating things up in the kitchen too! If you’re looking to shake up your usual butter and salt popcorn combo, our expert chefs have popped up a few creative and delicious popcorn recipes for your snacking pleasure.